I’m always on the lookout for healthy slow cooker chicken recipes for my Crock-Pot. 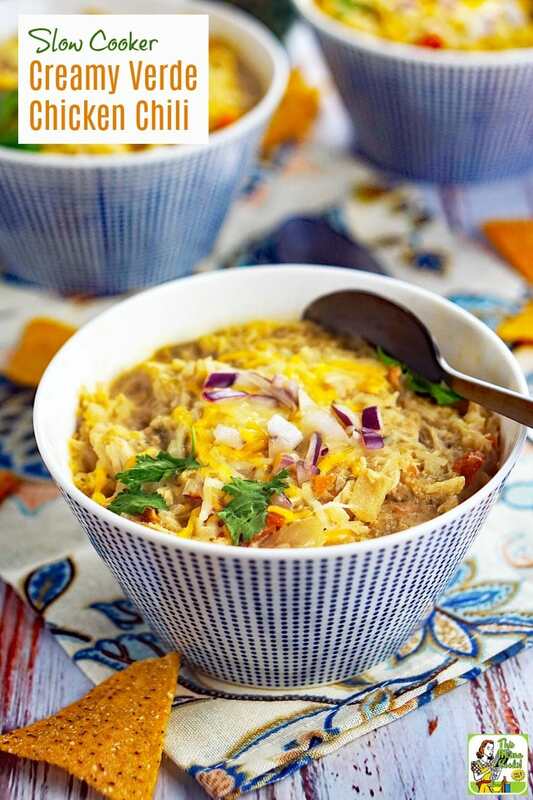 So when I learned that the Trim Healthy Mama's Trim Healthy Table cookbook featured this delicious Slow Cooker Creamy Verde Chicken Chili recipe, I had to share it with all of you! This wonderful healthy cookbook, written by Pearl Barrett and Serene Allison of Trim Healthy Mama, features over 300 family friendly, delicious and trimming recipes. It also has practical advice on how to healthfully nourish your family without chaining yourself to the kitchen. For example, in easy slow cooker chicken recipes like this one, Pearl and Serene use convenient but healthy ingredients like frozen vegetables, canned beans, and jars of salsa. Slow cooker chicken breast recipes like this one don’t even require you to dice up the chicken! Plus, you’re using your blender to mix up the ingredients. What could be easier than that? In addition, I normally have all the ingredients in this slow cooker chicken meal on hand, except maybe the cream cheese and that’s easy to pick up. I have a feeling that this Slow Cooker Creamy Verde Chicken Chili recipe will soon become a classic weeknight recipe at my home. I hope it will at yours, too! Slow cooker liners are a huge timesaver and will make clean up a breeze. Once you start using them for your healthy slow cooker meals, you’ll never go back! If you’re dairy free, I would recommend leaving out the cream cheese altogether. Do NOT substitute a vegan cream cheese. (Vegan cream cheese is oil based and will make a mess of things.) Instead, if you want a little creaminess added to this easy slow cooker chicken recipe, add some whole coconut milk just before serving. If you’re gluten free, make sure to carefully check the label of chicken broth you’re using. 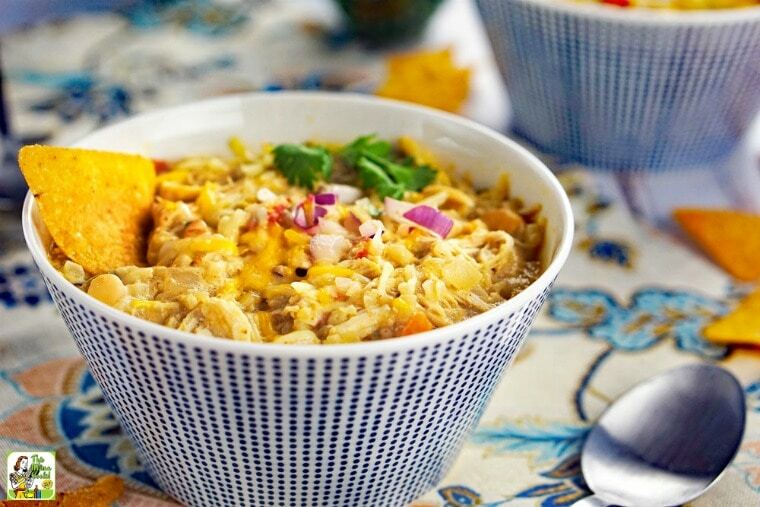 Or use homemade chicken broth in your Creamy Verde Chicken Chili recipe! If your family can’t agree on mild versus spicy, make your easy slow cooker chicken recipe mild with a bottle of hot sauce on the side. (My son and husband like spicy. I don’t!) That way everyone's happy. This healthy slow cooker chicken recipe is perfect for tailgating or a potluck party. If you don’t have 6 to 8 hours to make this in your slow cooker, 4 hours on high will work just as well. If you prefer to use an Instant Pot over a Crock-Pot, see This Mama Loves for her directions on making Creamy Verde Chicken Chile with an Instant Pot! Looking for more slow cooker recipes? Try this Crock-Pot Cabbage Roll Casserole or Slow Cooker Buffalo Chicken Sliders. Place chicken, salsa verde, beans, canned tomatoes, cauliflower rice and seasoning blend in bottom of your slow cooker. Put cream cheese, okra, 2 cups of the broth, salt, cumin, chili powder, onion powder, and garlic powder in a blender and blend until smooth. Blend, baby, blend until no green specks are left! 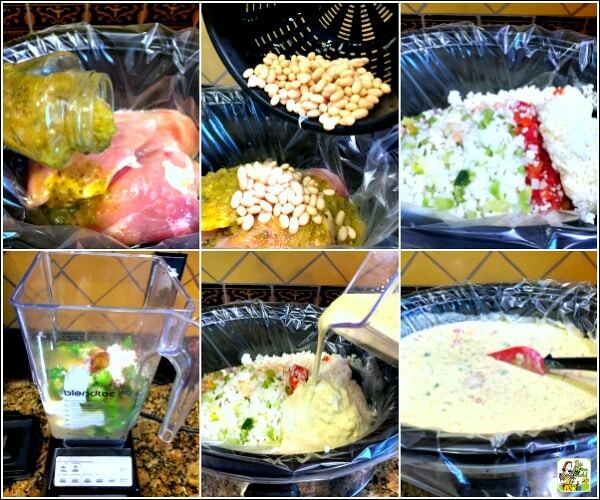 Add contents of the blender to the slow cooker along with remaining 1 cup broth and stir. Cover and cook on low for 6 to 8 hours. When done, shred the chicken with 2 forks right inside the slow cooker. 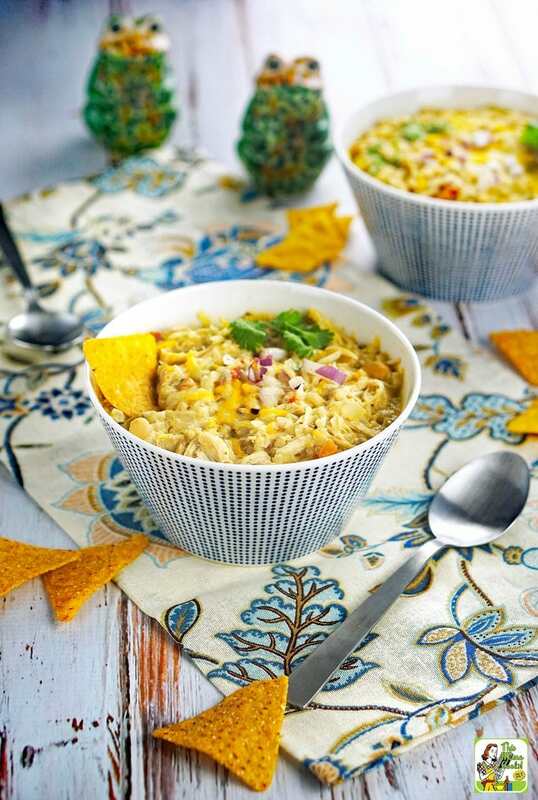 Serve with baked corn chips. Top with some shredded cheese, diced avocado, and maybe a little cilantro, chives, or chopped onion. The Trim Healthy Mamas have helped hundreds of thousands of women lose weight and live healthier lives with their eating plan and now they are ready to help the entire family with their cookbook! After experiencing incredible life transformations of their own, readers want to be able to help their families feel better and trim down, too. Trim Healthy Table is just the answer. Bestselling authors and sisters Serene Allison and Pearl Barrett have 18 children between them and their two families have been thriving on the Trim Healthy Mama plan for years. 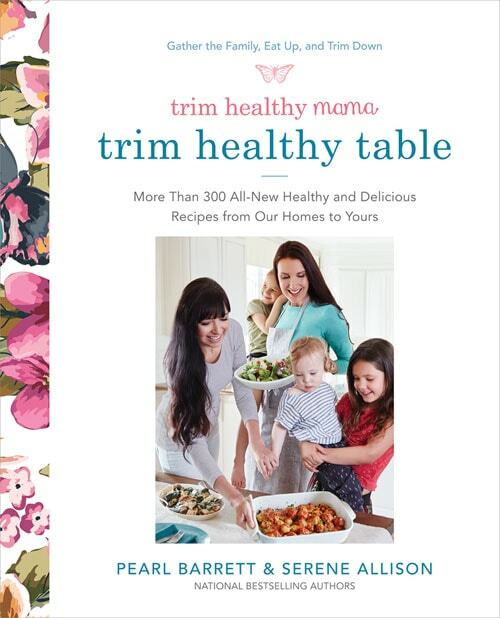 Trim Healthy Table contains all their best tips, tricks and encouragement for families, whether large or small. Serene and Pearl shamelessly share cunning ways to get picky eaters gobbling down veggies and other healthy foods they usually detest. You will learn how to painlessly use whole, unprocessed foods, including blood-sugar friendly carbs, fats, proteins, fruits and vegetables to create meals even the fussiest kids (and husbands) will love. You’ll also learn how one basic meal can make a whole family happy even with different nutritional needs. 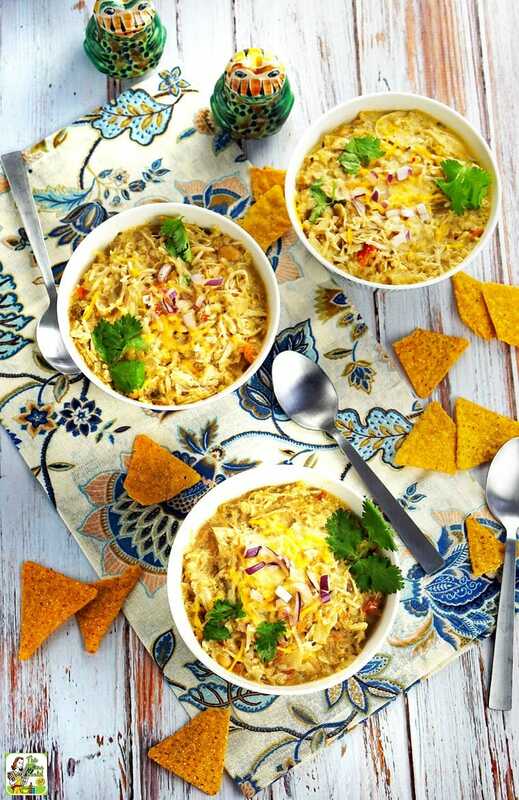 The quick and easy recipes include lots of one-pot dishes such as, skillet meals, slow cooker meals, electric pressure cooker meals, casserole and soups. With these recipes, you can wake up to hearty breakfasts, prepare bars for on-the-go or try a creamy, quick-to-make smoothie, even Indulge yourself with the many trimming desserts…cake for breakfast is celebrated! And, if you’re simply looking for single serve 5 to 10 minute meals, the “Hangry Meal” chapter has you covered. In addition to the hundreds of recipes, included is a “Simple Start Guide to the Trim Healthy Plan” which concisely explains how you can trim down by getting your blood sugar under control and how to, ever so gently, help other members in your family who may be struggling with weight issues. Follow the Trim Healthy Mamas on Facebook, Pinterest, and Twitter. Check out their Podcast and YouTube channel for more Trim Healthy content! Posted in Crock Pot and Slow Cooker, Recipes on September 25, 2017 by Anne-Marie Nichols. So great photos ! Vivid and inviting ! Thank you for the idea ! Pinning !